The gurdwara near the Miri Piri in Amritsar which will be converted into the Operation Bluestar Memorial. 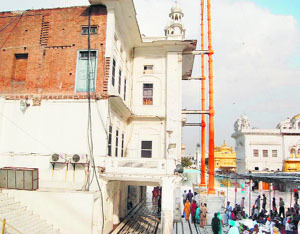 Even as the countdown to the start of Operation Bluestar Memorial's "kar sewa" on May 20 has begun, it has come to light that the memorial will be in the form of a gurdwara for which the left wing of the building located right next to Miri Piri at the Golden Temple Complex has been allocated. 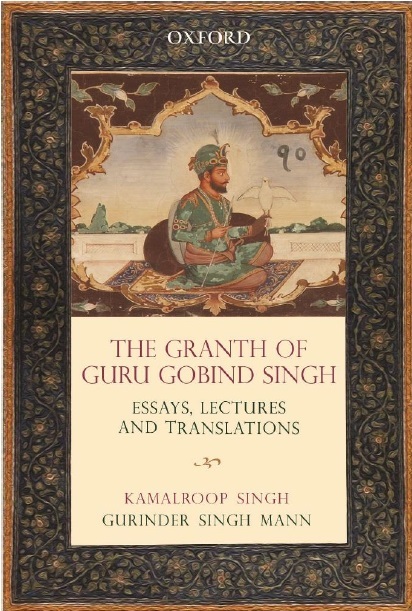 The Damdami Taksal, whom the SGPC has assigned the task of raising the memorial, and other Panthic groups had been demanding a site near the Miri Piri, contending that it would be a "befitting location" as the then chief of the Taksal, Jarnail Singh Bhindranwale, "attained martyrdom" near the Miri Piri. Earlier, there were reports of the SGPC allotting a site near Gurdwara Thara Sahib for the memorial. Sources, however, said the two sites (the one near Gurdwara Thara Sahib and the other near the Miri Piri) could be interlinked at a later stage in case of an expansion plan as they share a common wall. The site near the Miri Piri has three floors with two rooms each. At present, The Guru Granth Sahib has been installed in its ground floor. The sources revealed that a gurdwara would be set up on the first floor of the building, while the ground floor would be utilised to acquaint the visitors with Operation Bluestar. The second floor may be used to showcase gold plates of the shrine, "bir" that bears a bullet mark and other such items to commemorate the Army operation. The gurdwara is likely to be named "Gurdwara Shahid Ganj Sahib". However, the exact nitty-gritty of the memorial will come to the fore after some time as right now Damdami Taksal chief Harnam Singh is in the process of developing the idea. He has been consulting Panthic personalities and experts to finalise the shape and design of the memorial for the past few days. He, however, has expressed his intent to preserve Maharaja Sher Singh Deodhi, located opposite the Miri Piri, as it bears bullet marks of Operation Bluestar. SGPC chief Avtar Singh Makkar confirmed that the memorial would come up in the left wing of the building near the Miri Piri. He said there would be a gurdwara while they would finalise the exact details of the memorial over the next two-three days. He also said the site might be interlinked with the under-construction structure near Gurdwara Thara Sahib in future.